Walt’s Tree & Stump Removal has been assisting property owners with tree removal since 1995. Walt’s Tree & Stump Removal provides professional, safe tree pruning and trimming. Stump grinding is the best and most economical way to get rid of your stump below grade. We offer 24-hour emergency storm damage cleanup / removal & professional crane service. Walt’s Tree & Stump Removal Service Yorktown VA provide safe and cost-effective tree and stump removal services. If you need emergency services, our team of tree service professionals are available 24 hours a day, 7 days a week. 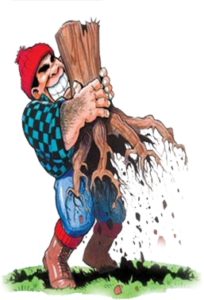 Walt’s Tree and Stump Removal believes in performing top quality work for our customers. We provide competitive pricing and prompt attention to detail. We take pride in our work and cause as little disturbance to your property as possible. I had a dead pine tree removed from my rental property yesterday. The back yard was surrounded by a fence with only a small gate which made the job much more difficult. Walt’s crew did and outstanding job removing the tree without any damage to the surround trees, homes, or the fence. But I was most impressed by the attention to detail in the clean up. They ensured that even the pieces of bark that came off the tree were cleaned up and carted off. It was a truly outstanding job and I will be happy to use them again in the future and recommend them to anyone I know. Excellence would be the best description for the service provided by Walt and his crew. On time and no time wasted. Yard looks like they were never there after removing 3 trees and some additional pruning. As stated, not the cheapest but very reasonable. You get what you pay for and Walt’s definitely goes the extra mile for you. On behalf of me and my family I would like to say thank for removing the four remaining gum trees in our yard. For the past six years they have worried us due to the fact that two of them were close to our house and in some of the past storms they have dropped a few big limbs that have come to close to hitting our house. You provided us with a fair estimate compared to your competitors. You and your guys did an excellent and professional job at a reasonable price. If anyone was to ask me who to call to have a tree pruned, removed or just need to have some stumps grinded, you would be the one I would tell them to call. You have made me and my family feel much safer now. We’ve had Walt and his crew come to our house 3 times in the last 5 years. They’ve trimmed trees, cut down several trees, (including a large lob lolly) and ground up several stumps. They are professional and careful in their work. Other plants and the shed are never damaged, they haul everything away and clean up totally. I absolutely recommend Walt’s Tree Service. Watch Walt's Tree & Stump Removal in Action!